We are welcoming on board two brand new acrylic edge polishers. 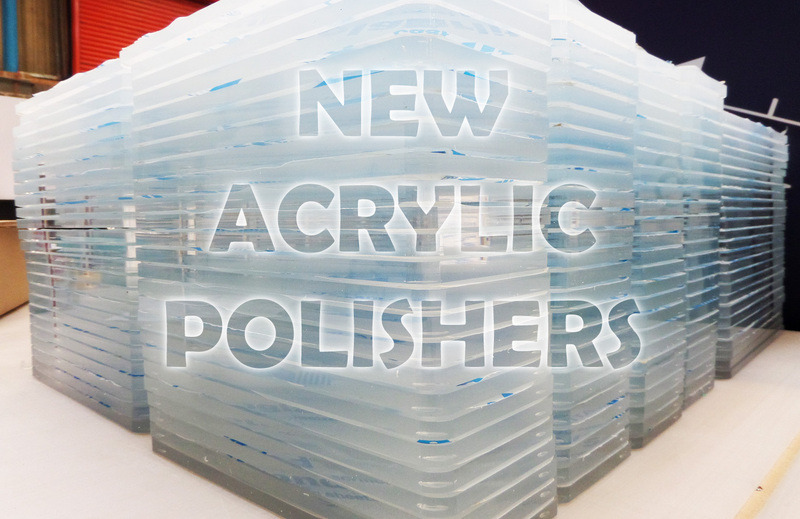 The new diamond polisher and flame polisher will help us accomplish larger acrylic perspex orders with polished edges faster. We highly recommend ordering your clear perspex panels with polished edges to achieve truly outstanding crystal-like effect. Our new diamond polisher will be mainly used for quick edge polishing of straight edges. The flame polisher will support the diamond polisher in the case of more bespoke acrylic signs where the surface is not straight like rounded corners and acrylic cut to any bespoke shape. On this occasion we would like to welcome Craig, our new member of staff, who has had many years of experience in this particular trade. Craig will be mainly responsible for operating the new flame polishers as well as our router and printing machines. If you have any requirements for polished edges acrylic perspex panels please call us or contact us via email or filling in any of our contact forms.